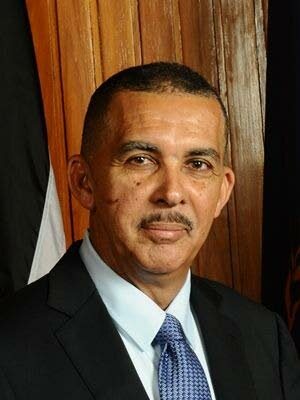 Transparency advocates Reginald Dumas and Victor Hart have urged President Anthony Carmona to give details of how a procurement regulator is to be appointed as a key step to effect procurement reform. The duo said the large-scale waste and theft of public money is one of the country’s most serious concerns, so the full implementation of the Public Procurement and Disposal of Public Property Act is a matter of very high priority. That implementation must be done in a way to foster public confidence and set the table for a new era of proper dealings in the conduct of the nation’s public affairs. “We are encouraged by the November 2 press releases from the Office of the President and the Ministry of Finance, both stating that the appointment of the board for the Office of Procurement Regulation is anticipated to be made by the end of this month, December 2017,” Dumas and Hart said. “As a matter of best practice in these most crucial appointments, the public should be apprised of the details of the selection process.” They said there is a dire need for transactions using increasingly limited public money to be properly supervised, and cited the Uff report’s call for transparency in the review of tenders and award of contracts. The two said contracts, particularly large-scale ones, should not be awarded without elementary transparency so that the public can be assured of straight dealings. “The appointment of the procurement regulator will be one of the most critical contract awards in the history of our republic, albeit an employment contract. “We are therefore requesting, in the public interest, that the following details be published before the appointments are made: the selection process being used; the identity of the firm or personnel implementing that process and the identity of the short-listed applicants. Reply to "President urged to give procurement details"